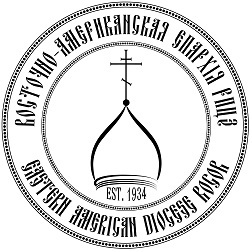 The Eastern American Diocese is comprised of all of the parishes, missions, and monasteries of the Russian Orthodox Church Outside of Russia (ROCOR) located on the East Coast of the United States and the Caribbean Basin (approximately 95 in total). The Diocese is ruled by the Very Most Reverend Hilarion, Metropolitan of Eastern America & New York, who is also the First Hierarch of ROCOR. His Eminence is assisted by a vicar Bishop, the Right Reverend Nicholas, Bishop of Manhattan, who is also the assistant secretary of the ROCOR Synod of Bishops. 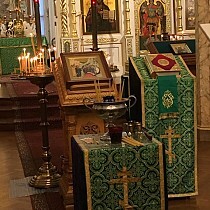 The Diocesan Center is located in Howell, NJ at St. Alexander Nevsky Diocesan Cathedral – the see (cathedra) of the ruling bishop of the Eastern American Diocese. The administrative, treasury, and media offices are located at the Diocesan Center and are open Tuesday – Saturday 9 AM – 5 PM. Click here for more information. 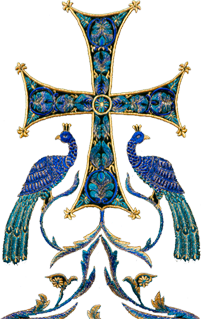 The main purpose of this website is to provide news stories and photographs of life in the Eastern American Diocese, as well as information about diocesan parishes, monasteries, and clergy. If you would like to contribute photographs or information, please do not hesitate to contact the editors at webmaster@eadiocese.org. Thank you and may God bless you!